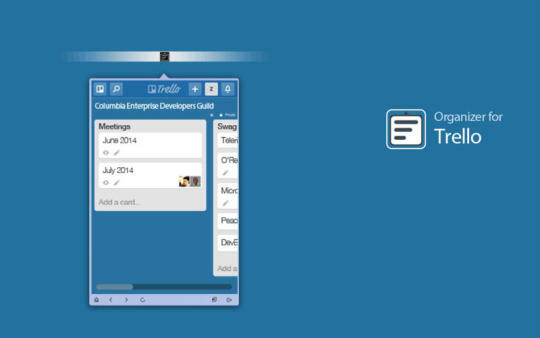 Access your Trello Boards directly from your Mac's menu bar. 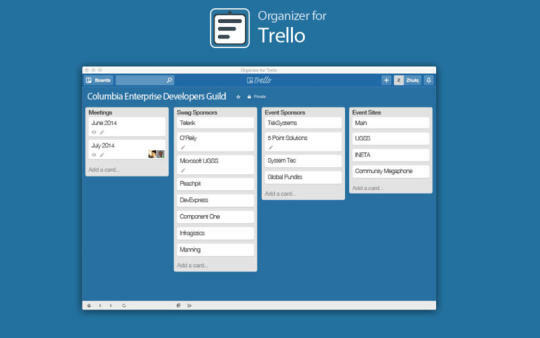 FromZhulq:Organizer for Trello: Collaboration Tool for Organization allows you to quickly access your Trello Boards directly from your Mac's menu bar. 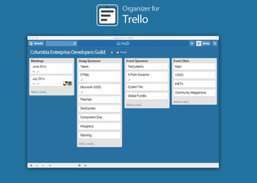 Just click the Organizer for Trello icon in your toolbar and sign it with your Trello or Google account, its that simple. You can either run the app with a dock icon or without. 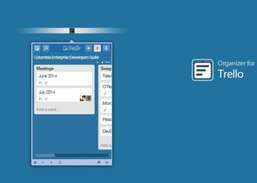 Organizer for Trello is also including a "stand alone" desktop mode where Organizer for Trello runs in its own window for even more space. Organizer for Yahoo lets you access Yahoo directly from your menu bar. Access Instagram directly from your menu bar. Keep up to date with your mail faster than ever. Companion app for Microsoft Office that tells you which documents you've recently worked on.